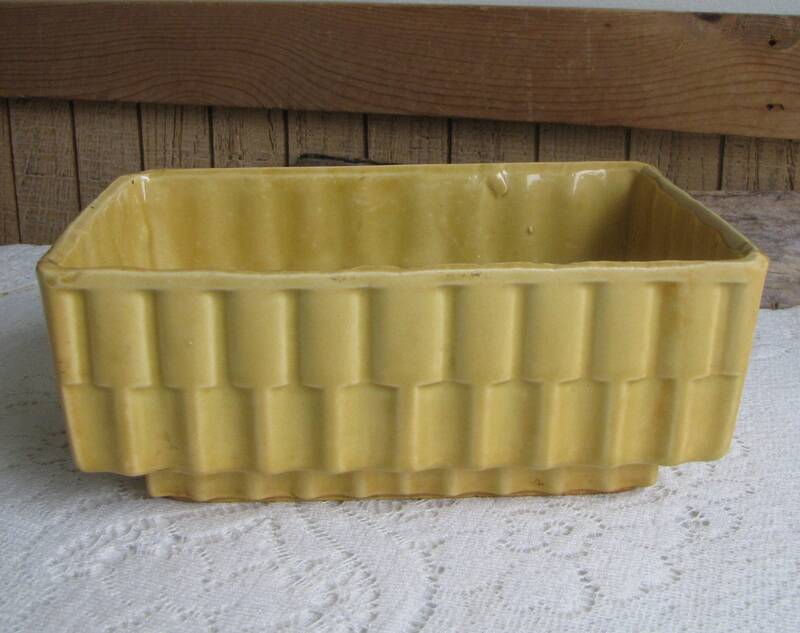 This is from Cookson Pottery located in Roseville, OH from 1945 to 1995. 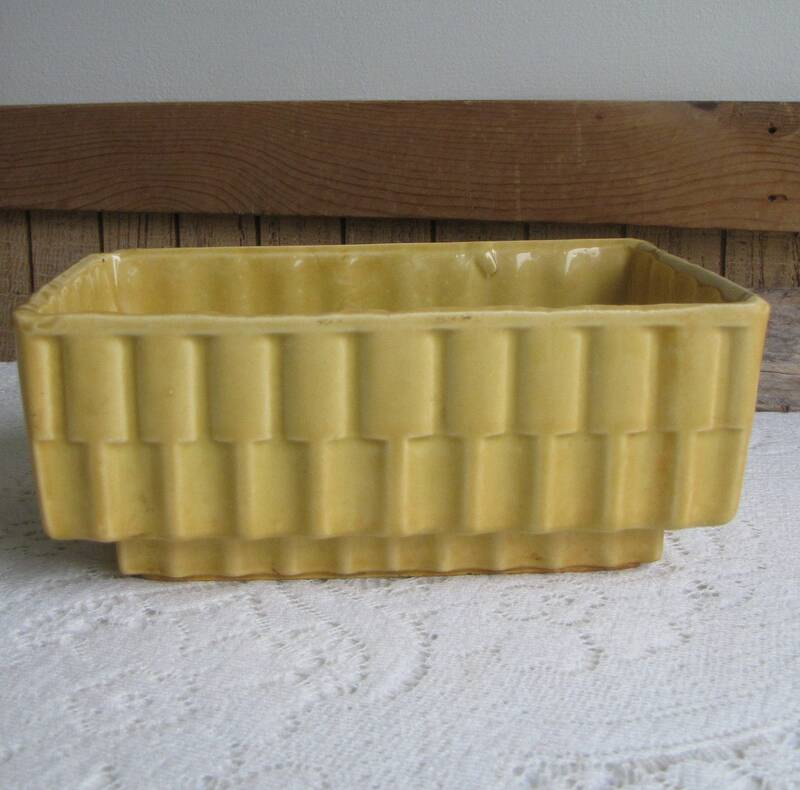 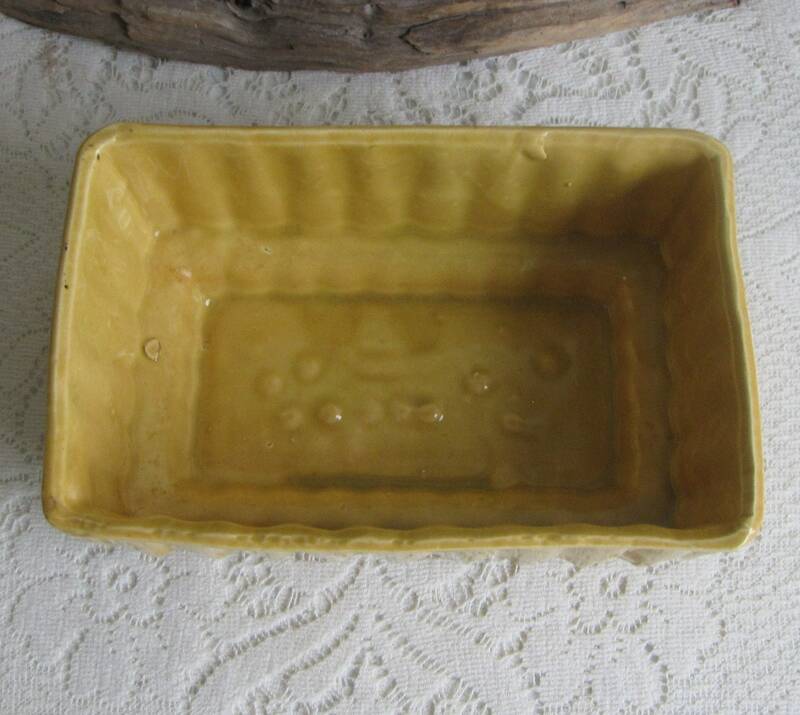 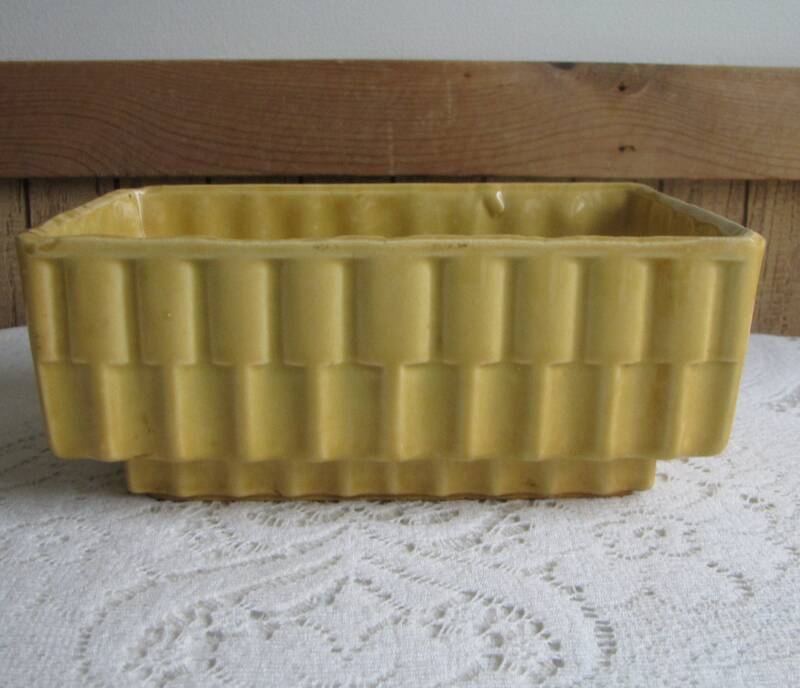 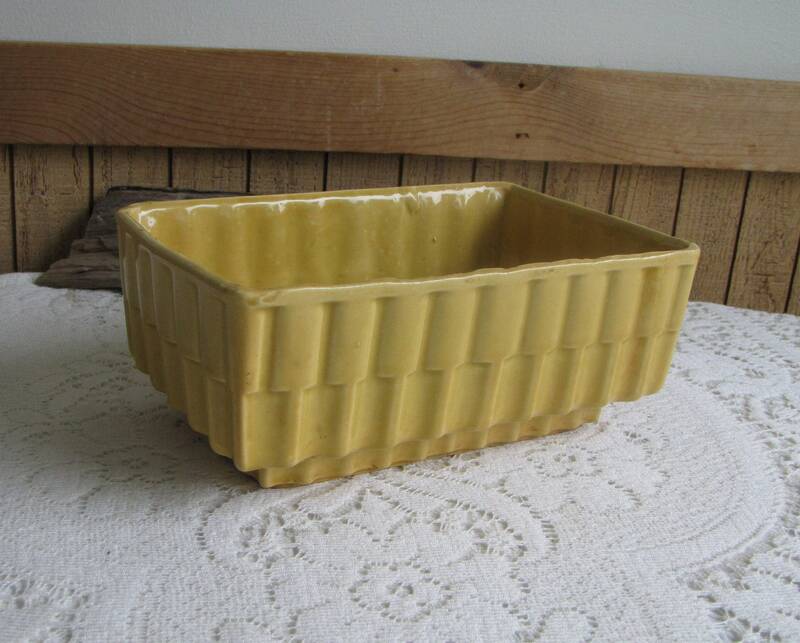 The mustard yellow planter is in good vintage condition; some chips on the lower row and across the bottom (see pictures). 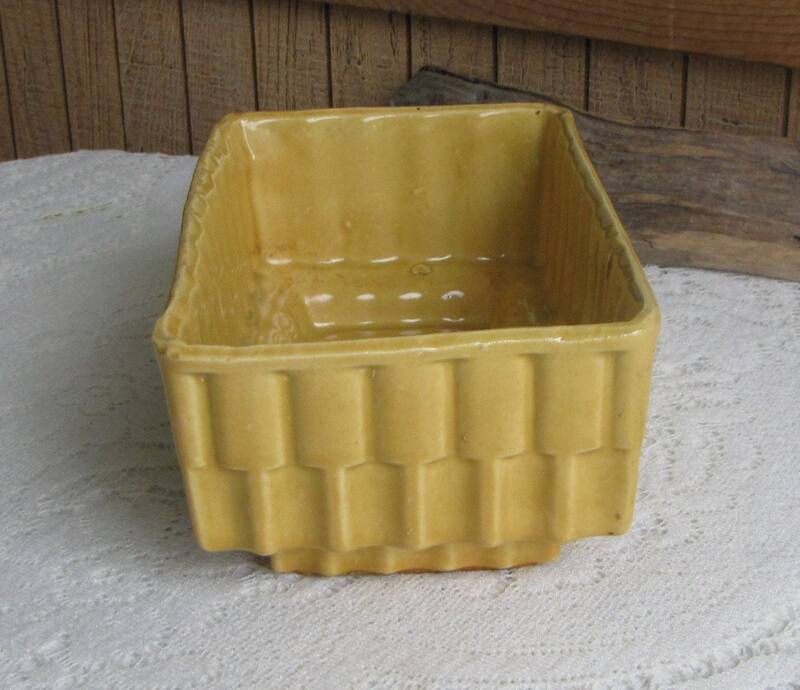 The planter measures 3.5 inches tall and is 8.5 x 5.5 inches. 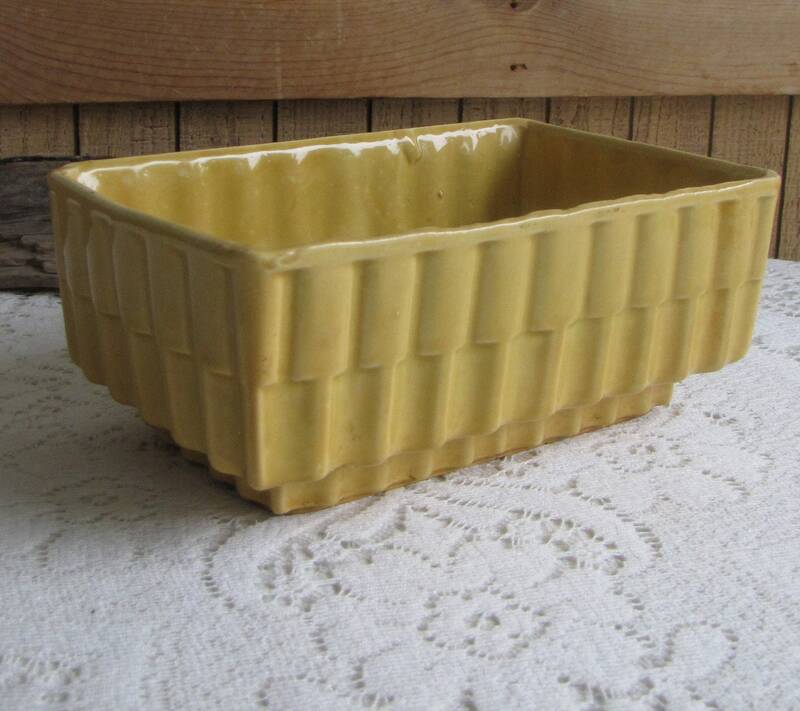 Gerald Cookson founded Cookson Pottery Co. in Roseville, Ohio in 1945. 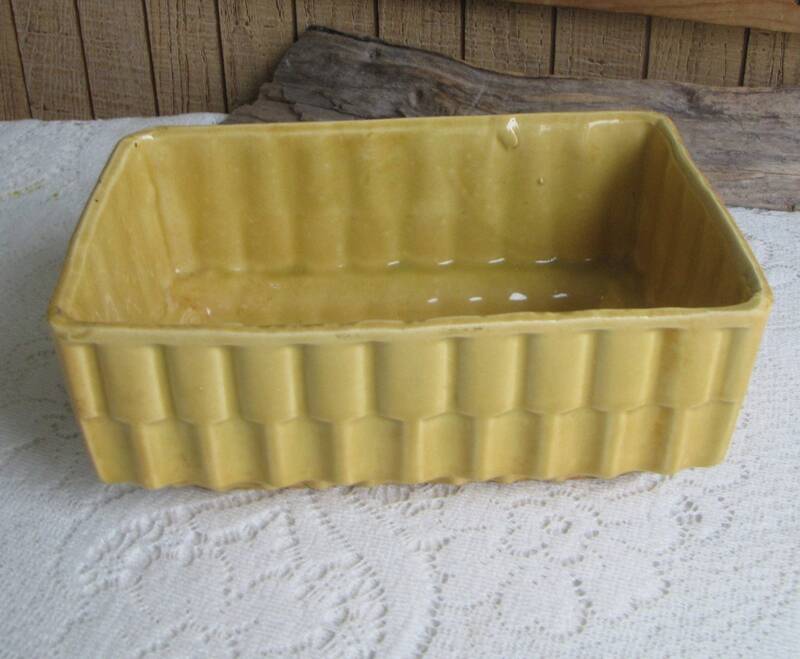 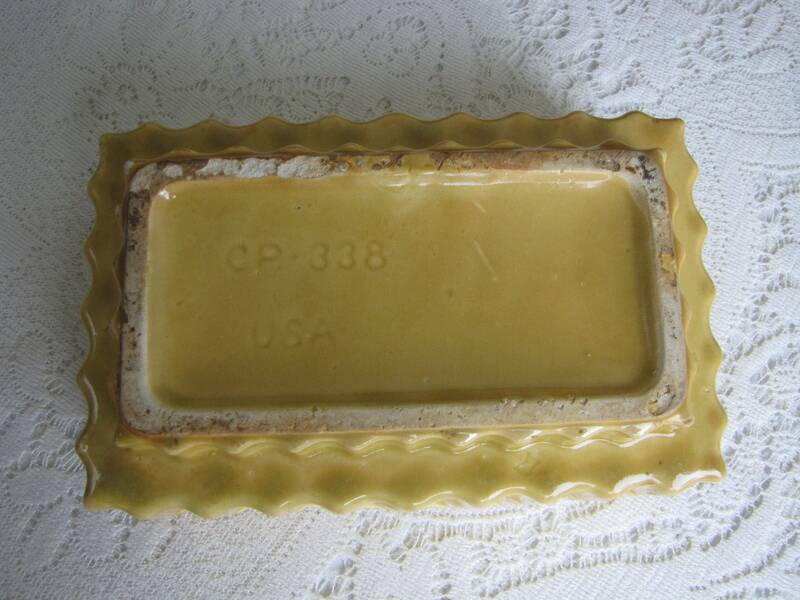 Cookson’s molds were made by Ungemach Pottery (UPCO)and the glazes were applied at Cookson Pottery. 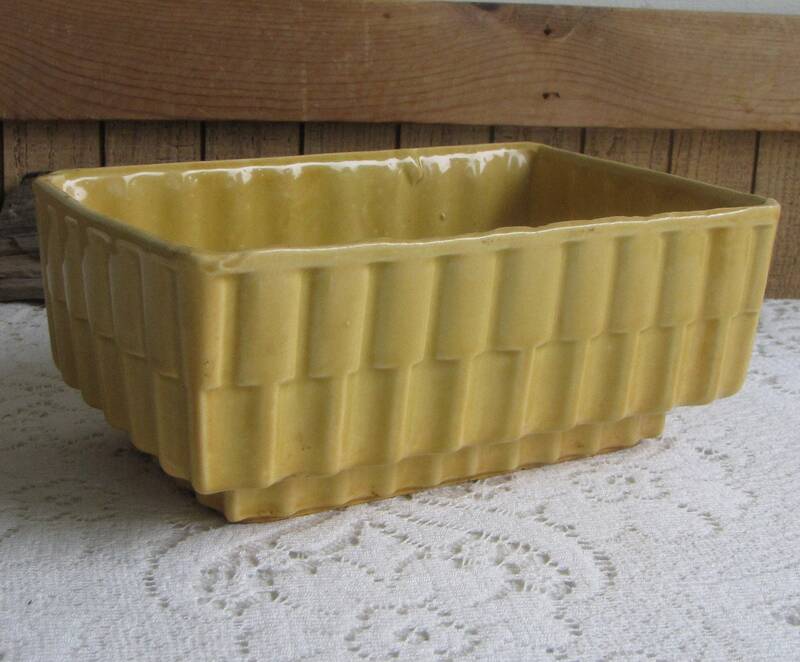 The pottery was sold in 1982 and continued to operate until 1995.